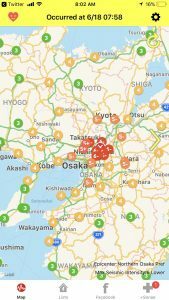 Osakaquake epicenter was very close to our Office/warehouse right in Hirakata city. All RHDJapan staff has checked in to be safe. The warehouse is quite a mess with just a little damage. Trains are not running currently and the staff that is close by will be helping to cleanup throughout the day. Hopefully to be at full speed by tomorrow. Apologies for any delays.